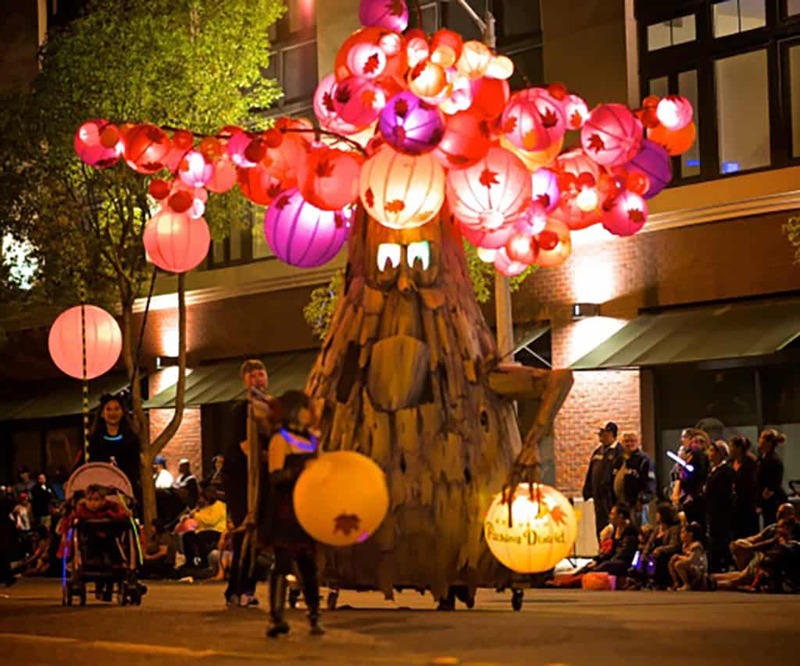 Everybody loves Halloween … and these towns celebrate a little more than others! We scoured the United States for the Best Halloween Towns and came up with these super-ghoulicious places to celebrate Halloween! 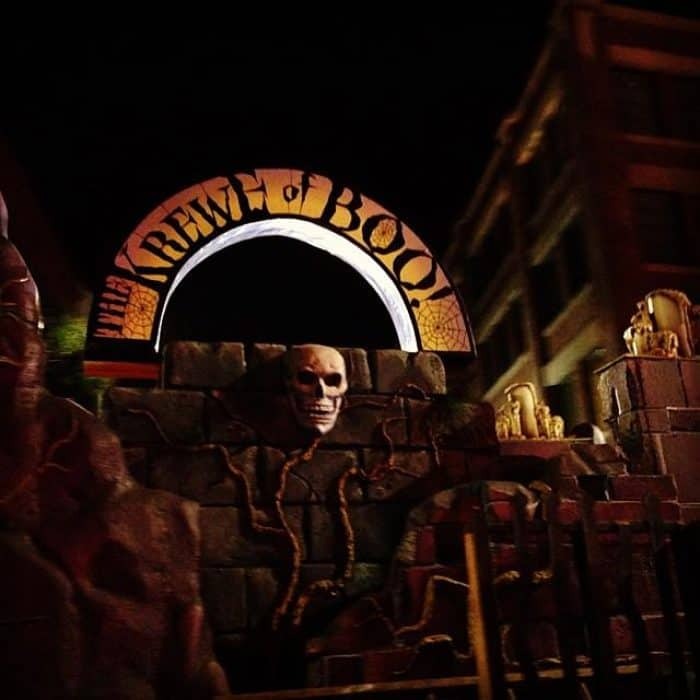 Here are our picks for the Best Halloween Town, the Scariest Haunted House in a Prison, the Most Famous Haunted Hotel in America, the Best Halloween Event at a Theme Park, the Best Halloween Celebrations, the Best Halloween Tours, and the Best Halloween Parades in the USA! 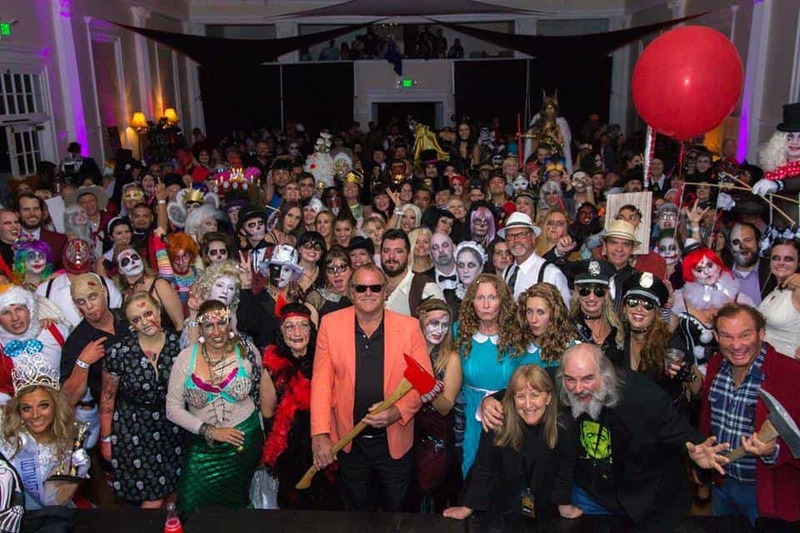 Be sure to bookmark or link to this page as we plan to update it every year so that we can have the most complete list of the Best Halloween Celebrations in the USA! If you are ready to be scared out of your mind and take the tale of the Legend of Sleepy Hollow to its darkest extremes, then you need to visit Sleepy Hollow in New York during the month of October when the 300-year-old Philipsburg Manor transforms into a fearsome landscape ruled by vampires, witches, undead soldiers, ghouls, and ghosts, all serving the Headless Horseman himself! 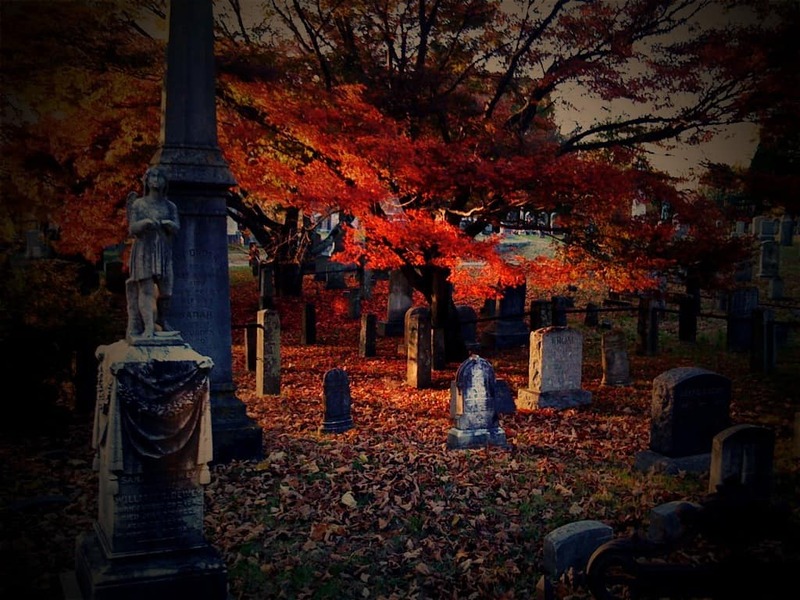 You also won’t want to miss the Sleepy Hollow Cemetery Tour … we hope you make it through to the other side. Also, check out the Top 10 Halloween Attractions in Sleepy Hollow and Tarrytown, NY. Famous for having imprisoned some of the most notorious criminals in the world, including Al Capone, the Eastern State Penitentiary in Philadelphia, PA, has had reports of paranormal activity since the ’40s. Eastern State Penitentiary was the first of its kind to introduce solitary confinement, even using medieval methods such as placing a black bag over the prisoner’s head, which often drove prisoners insane. It is said that the ghosts of the former prisoners now haunt the jail and you may even hear evil laughter from cell block 12. Of course, this makes this the perfect setting for “Terror Behind the Walls” … and if you think this gothic structure, with soaring 30-foot high fortress walls, is intimidating during the day, wait until you see it at night when the cellblocks fall into darkness, and the building becomes truly terrifying. If you remember Stephen King’s “The Shining” and that spectacular performance by Jack Nicholson, you undoubtedly know why this hotel is so famous. The story was inspired by The Stanley Hotel, and the room where Mr. King stayed at, Room 217, has been a “hotbed” of paranormal activity for over 100 years. From things moving, lights turning on and off by themselves, and reports of ghost children laughing and running through the hotel, it is the perfect setting for a wide range of ghost tours and some of the best Halloween celebrations around, including the wildly popular Shining Ball and a legendary Halloween Masquerade Party that always sells out. Knott’s Scary Farm or Knott’s Halloween Haunt is a seasonal Halloween event at Knott’s Berry Farm in Buena Park, California. It is an event in which the theme park is transformed into “160 acres of horror”, via a series of roaming monsters, terrifying mazes and ‘scare zones’. It is the largest Halloween event to be held at a theme park. While Knott’s Berry Farm is a year-round theme park, the entire acreage is modified to fit the Halloween motif. Rides and other attractions are converted into macabre themes. Seasonal workers are cast as “clowns and monsters”, roaming the 160-acre park in terrifying scare zones, amidst haze produced by giant fog machines. As of 2016, the park had constructed 8 haunted houses, 5 scare zones, a zombie shootout attraction, and 2 live shows. 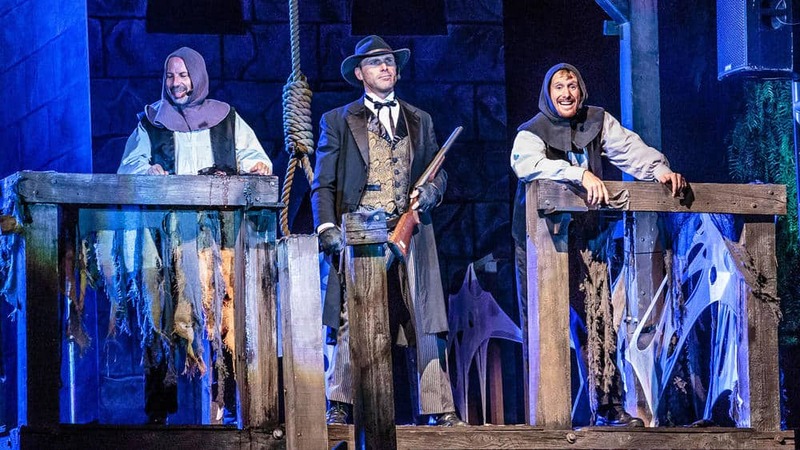 The controversial “Hanging” live show is a staple of the Haunt that lampoons celebrities and persons in the news through a series of staged hangings. Salem is one of the oldest cities in the US. 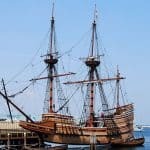 It is located on the north coast of Massachusetts above Boston that is famous for its 1692 witch trials, during which several locals were executed for allegedly practicing witchcraft. 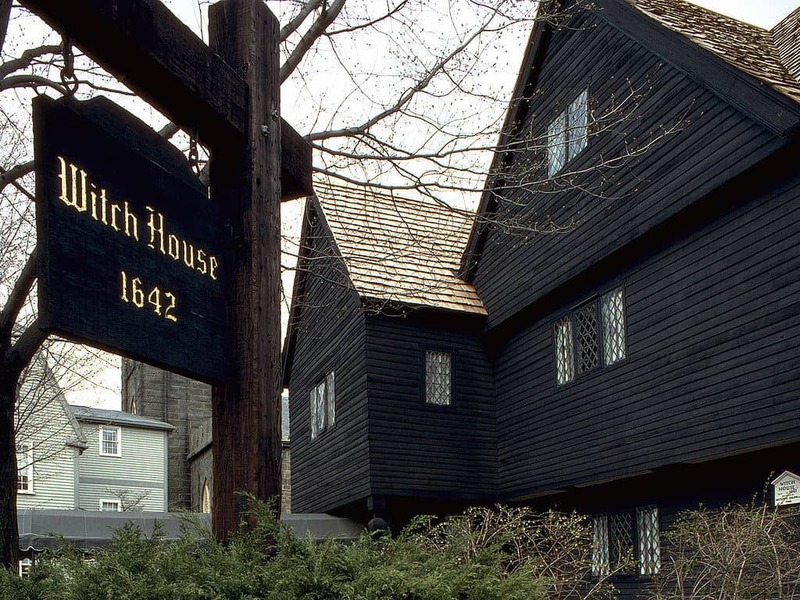 A festive celebration of Halloween and fall in New England, more than 250,000 people come to Salem Haunted Happenings each year. 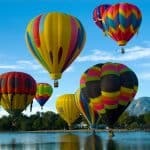 Events include a Grand Parade, the Haunted Biz Baz Street Fair, Family Film Nights on Salem Common, costume balls, ghost tours, haunted houses, live music, and chilling theatrical presentations. Billed as America’s Most Haunted City®, Savannah, GA has been featured on “Wheel of Fortune“, “Scariest Places on Earth“, “The Travel Channel“, “Georgia Traveler“, the “L.A. Times” and many more! Plus, the Savannah Ghost Tours and Bonaventure Cemetery Tours have been listed on the USA TODAY list of TOP 10 Tours! Another popular ghost tour in Savannah is the Ghosts & Gravestones Tour by Old Town Trolley Tours. Hear the tales no other guide dare tell as shadows play tricks on your mind. 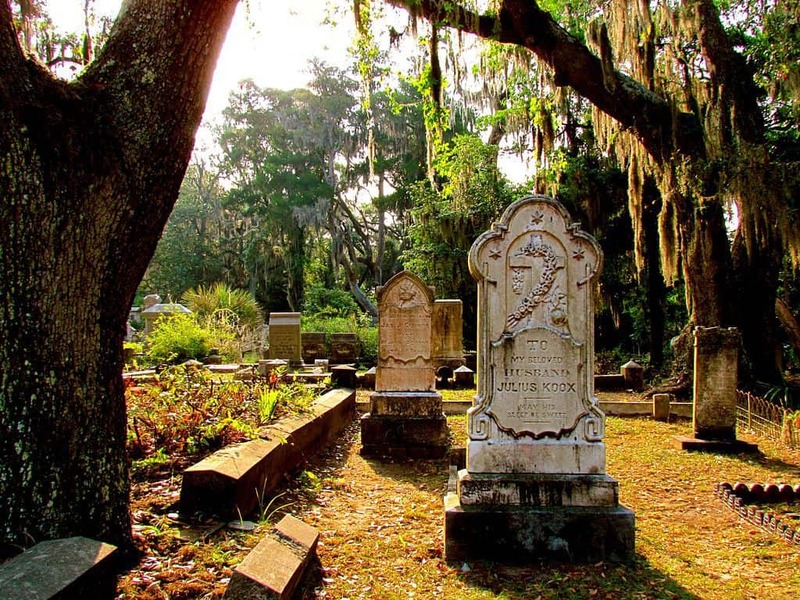 As they say in Savannah, your visit isn’t complete until you visit the Bonaventure Cemetery … and with 800,000 people a year exploring 204 acres of natural splendor mixed with statues, ironwork and some of Savannah’s most famous reposed lying in state, you’ll soon understand why this should be at the very top of your Savannah-To-Do-Bucket-List! Voted one of the Top 10 Most Beautiful Cemeteries in the World. 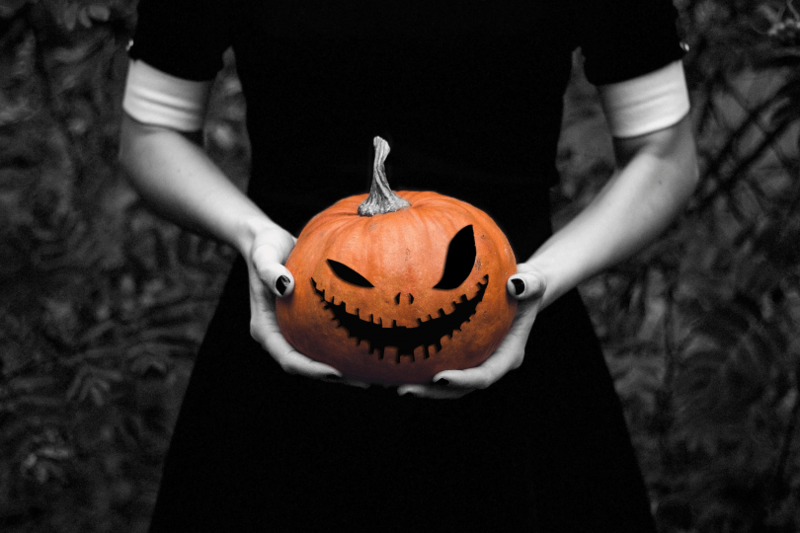 Anaheim, California — Since 1924, Halloween has held a special magic for the people of Anaheim. A nighttime pageant of ghosts, goblins, jack-o’-lanterns, and witches stretching a mile and a half through the darkened streets of downtown, the annual Anaheim Halloween Parade has become a Southern California family favorite. 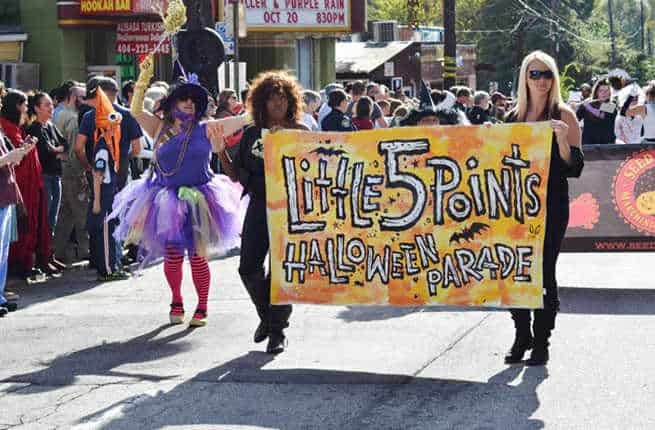 Atlanta, Georgia — You are too late for this year, but the Little 5 Points Halloween Festival & Parade in Little 5 Points, Atlanta, GA, is the signature Halloween festival in the southeast and one of the Top 10 Halloween Events in the Country! 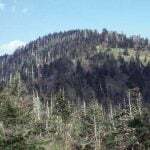 It is staged in Little 5 Points, Atlanta’s premiere business, arts, and music district. Each October, over 35,000 people flock to Little 5 Points to enjoy great food and drink, live entertainment and the best Halloween parade in the South! 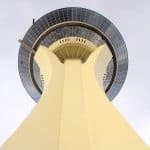 New Orleans, LA — If you are looking for a spooktacular Halloween event unlike any other parade in the world “BOO CARRÉ” in New Orleans is a great choice. The Big Easy continues to embrace its reputation as being one of the most haunted cities in America, and Halloween is a great time to really showcase it with the Krewe of Boo parade. And be sure to visit the voodoo priestess Marie Laveau’s tomb at St. Louis Cemetery — if you dare. 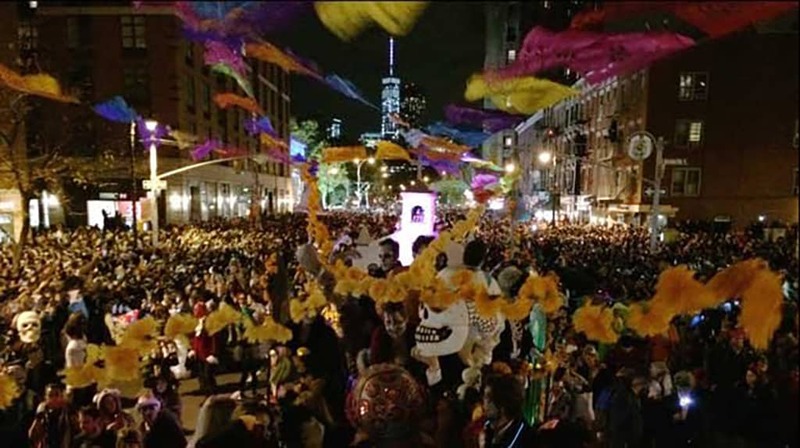 New York City, NY — New York City’s Annual VILLAGE HALLOWEEN PARADE is billed at the nation’s most wildly creative public participatory event in the greatest city in the world and definitely makes our list of Best Halloween Celebrations! This year marks the 44th annual event and it will be held on Halloween, Tuesday, October 31, 2017. This Halloween, tens of thousands of costumed revelers will march through the belly of Manhattan in the biggest display of Halloween spirit on earth. Afterwards, when the sun has set and the children have been tucked in, these revelers will converge in Midtown for the wildest party in the city: The Official Halloween Parade After Party at Slake NYC. So there you have it, the Best Halloween Celebrations and Halloween Happenings to add to your bucket list for Halloween 2018! We welcome suggestions for this list of the best Halloween celebrations … just let us know what we should check out in the comments below!